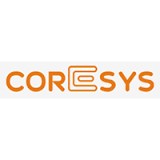 Coresys Infotech is a software developer with high end products in Education and Healthcare segments. Coresys team has successfully implemented solutions for the past five years since inception. Our team is customer focused and consists of dedicated professionals who understand complex requirements of diverse business environments. We evaluate the needs and goals of our clients and deliver services exceeding their expectations. We follow the quality guidelines and precesses set by ISO 9001:2008 standards in every stage of SDLC. Our products have been well accepted in the matket place and detailed articles have been published on eClinician CDSS by International telecommunication union (ITU) in their study report published in 2010 on Mobile and eHealth solutions for developing world.